Your heat pump is an efficient heating and cooling system that works year round to keep you comfortable. 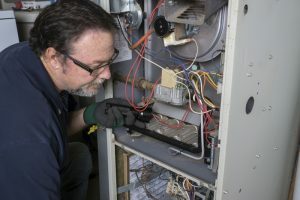 But because the unit runs throughout the year, there may come a day that it stops working, leaving you without any cooling or heating and a costly repair bill. You cannot assume your heat pump will last forever, but you can fix the problem quickly if you call a professional as soon as you notice any of these problems. When you run into problems with your heating system, call the experts at A–Professional Heating and Air Conditioning. We offer 24-hour emergency service in Covington, LA, for any heating repair needs. Trouble Switching from Cooling to Heating Mode: The reversing valve is the component that allows your heat pump to switch into heating mode when needed. If you don’t feel any heat from the vents this winter, it could be due to the thermostat, or it may mean that the reversing valve needs replacement. Unusual Noises: Strange noises from your heat pump could indicate a variety of problems. A rattling noise, for example, could point toward a loose screw or it may mean there is trouble with the compressor, particularly if the heat pump is old and may soon need replacement. 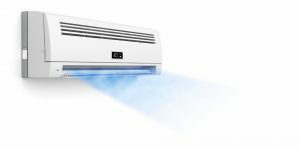 High Heating and Cooling Bills: Heat pumps are extremely efficient heaters and air conditioners, but they still account for a large portion of your energy bills. If you notice higher-than-average energy bills this season, there is a good chance that a component of your system has worn down and your unit is working hard to compensate, ultimately driving up your energy bills. Because your heat pump runs throughout the year, you should do everything you can to keep it in top shape and prevent any problems from occurring. This includes scheduling regular maintenance with a technician so that your system can be thoroughly cleaned, adjusted, and inspected for problems early on. You should also call a technician at the first sign of trouble so that problems do not worsen over time. As it moves into the heating season, you need a reliable system that won’t fail when you need it most. Call the experts at A–Professional Heating and Air Conditioning for professional heating repair service in Covington, LA.